DescriptionSay ‘thank you’ in style with these distinctive cards, part of the colourful ‘Dear Zoo’ party range. Featuring the adorable 'Dear Zoo' illustrations from the bestselling children’s book, these notelets will make writing your thank you letters a breeze. Each pack contains 10 Cards & 10 Envelopes. Say ‘thank you’ in style with these distinctive cards, part of the colourful ‘Dear Zoo’ party range. 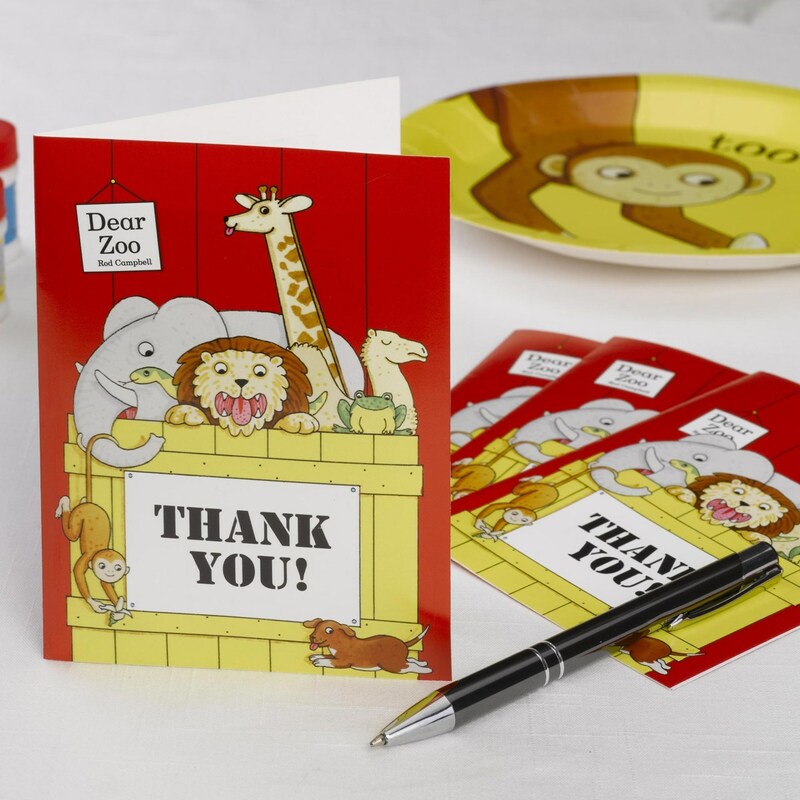 Featuring the adorable 'Dear Zoo' illustrations from the bestselling children’s book, these notelets will make writing your thank you letters a breeze. Each pack contains 10 Cards & 10 Envelopes.